Disclaimer: this blog is mostly in the third person to make it look totally unbiased. Recently, The_Templar began streaming on twitchtv as a random player. 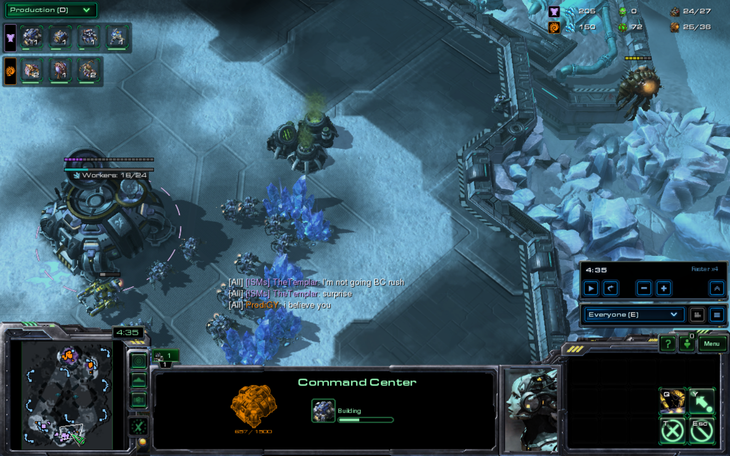 He quickly drew the attention of about 2 people as he climbed up the ranks of ladder from gold to platinum using "formidable, macro-based builds" such as carrier rushes and 1 base proxy BC. At some point, his stream was discussed on TL as showcasing one of the next NA titans due to his innovative play and ability to win in unusual situations. I don't know if this classification of 'titan' is exactly correct when referring to actually playing the game, but he did place #2 in Darkhoarse's recent LR power rank. All of this attracted the attention of the fair and beautiful part-time LR'er GumBa. GumBa recently placed 6th on the same LR power rank due to his undying devotion to The Machine. However, he was secretly jealous of The_Templar's high standings in the LR power rank and popularity among the two people that watched his stream regularly. Indeed, he was unsatisfied, and challenged The_Templar to a friendly duel to the death, a challenge partially disguised as a formation of a LR clan to play sc2 more. The_Templar accepted, feeling secure behind his builds, and they agreed to play after The_Templar finished playing in his tournament. 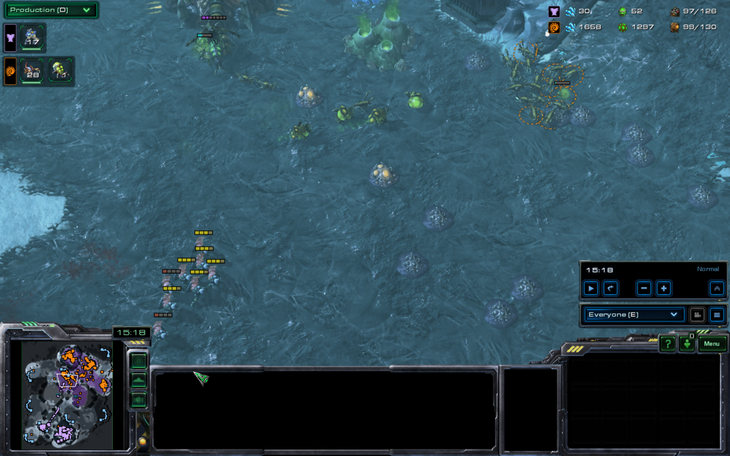 Since LR skill is inversely proportional to SC2 ability, GumBa was definitely favored in this match. However, The_Templar had a wide variety of cheeses and all-ins to select that nobody would even consider due to how bad they were. TheTemplar: We are playing a boX, what is X? TheTemplar: How about a BO53? TheTemplar: How about a best of 7? 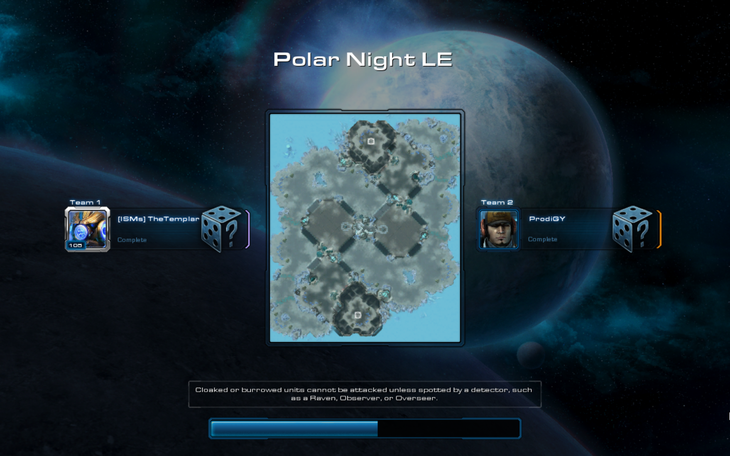 The_Templar then proceeded to pick Polar Night since he forgot to mention which season he was talking about. However, the epic clash of the two titans had begun. Please note that in each of these games, both players picked random, and the race was truthfully announced at the start of the game. 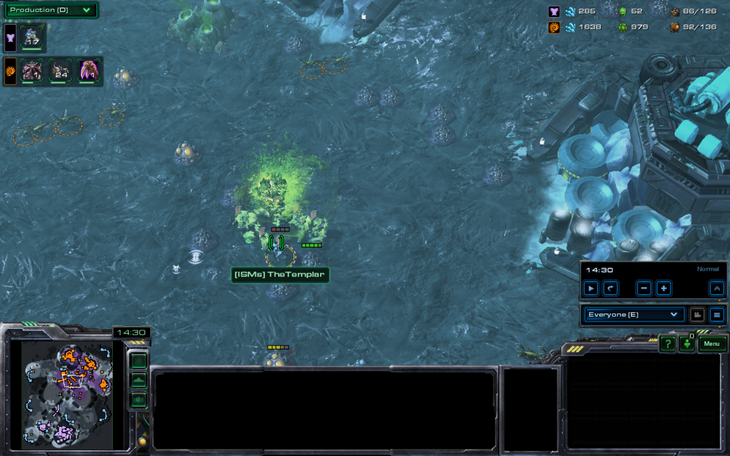 In this game, The_Templar was terran and GumBa was zerg. The two players were very friendly, almost too friendly. In fact, The_Templar tried to reveal that he was GumBa's mother, a statement which made no sense. He attempted to confuse the issue by giving lichter a shoutout (Shoutout to lichter by the way), but GumBa had none of that and interrogated The_Templar on the state of the map pool, calling him 'literally worse than MLG'. This is the most serious insult possible and GumBa is giving a formal apology for it soon™. 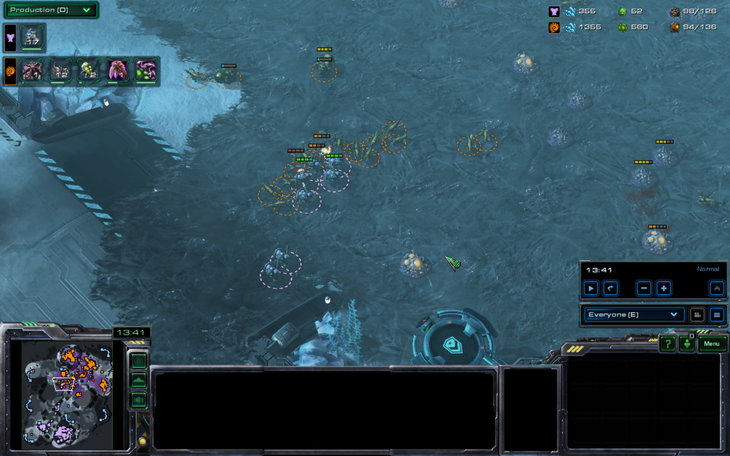 As the game progressed, The_Templar threw a wrench in things by NOT battlecruiser rushing, even though he had gone 10-1 in ladder in TvZ with it only a few weeks ago, losing just to proxy swarm hosts on Overgrowth. 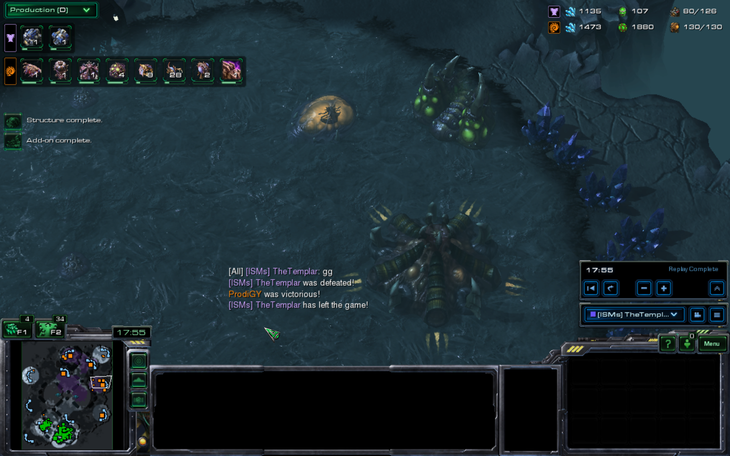 In fact, The_Templar was so confident, he announced he wasn't BC rushing. Admittedly this is at the point that GumBa can see an expansion and no gas in the main. The cheesiest thing a cheesy player can do is play totally normally. GumBa went for the newly formed strategy known as the "+burrow slow zergling timing" by researching burrow before zergling speed. The direct counter to the Sensor Tower rush, in fact. 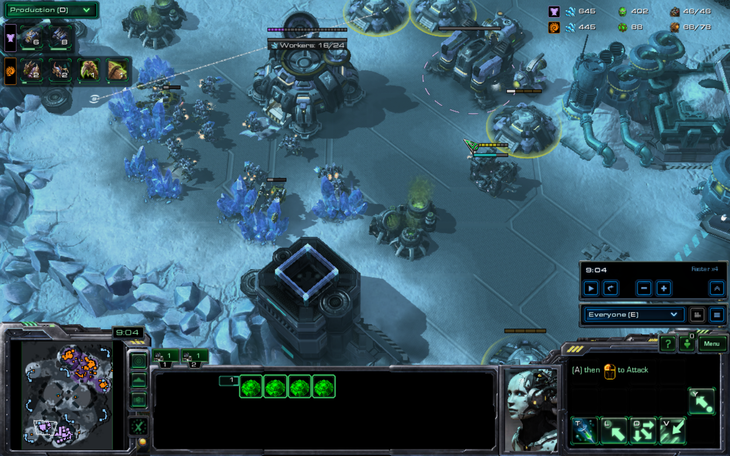 The_Templar, however, was not going for a sensor tower rush. He watched the VODs of himself playing in the LRSL and found his games against Chipmunklord17. In game 2, The_Templar had done a mass marine all-in off of two bases but had horribly misplayed it and lost after forgetting to make reinforcement units. The build in question is somewhat difficult to identify, as it hides under a sheer number of barracks. Also note that Combat Shields and Stim finish at the same time. This is to allow an adapted timing if the opponent is playing extremely greedy. It was totally intentional. 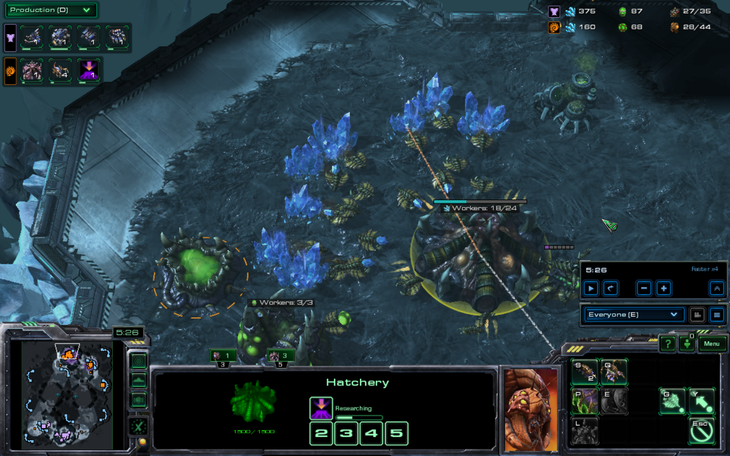 As there are only about 6 marines available before the production of 10 barracks, 8 with reactors, kicks in, at least 3-4 bunkers are needed in case the zerg does an all-in. Meanwhile GumBa is about to take a 4th base and is starting +1/1. The_Templar's strategy is revealed to an enemy spy. 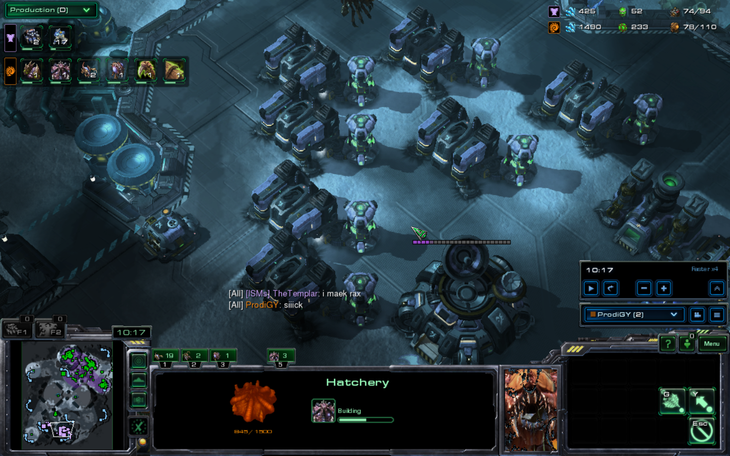 However, it is unclear as to whether the build is mass marines or mass reapers. I'll give you two guesses. The production tab might help. The first move-out was extremely successful. Upon realizing that creep was already halfway across the map, The_Templar suddenly saw the face of his greatest nemesis behind the veil of an alternate ID. GumBa is suddenly revealed as Acer.Scarlett, and The_Templar is revealed as someone that actually knows how to split marines. The cursor blocks out the word hater. Censorship!! 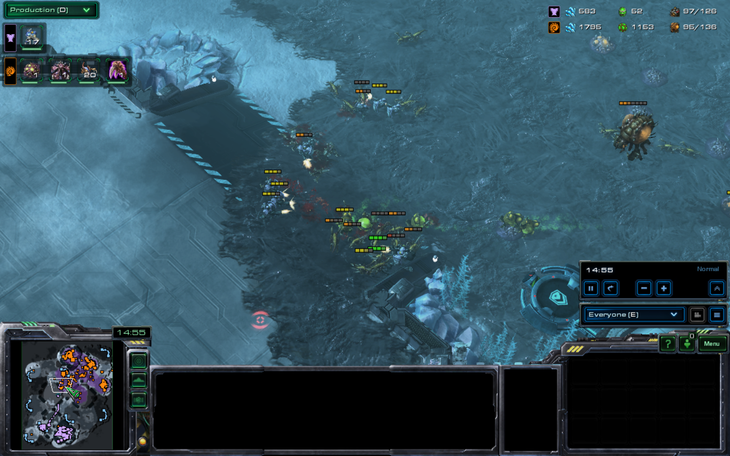 The_Templar praised himself for his amazing marine split in the last battle, right as he was moving out again. 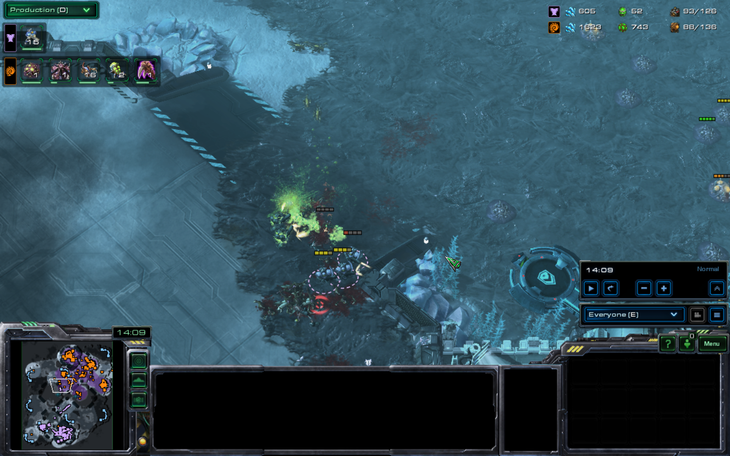 Since The_Templar was probably not going to be playing a lot of TvZ in this series, he decided it would be a good idea to practice his marine splits anyway. 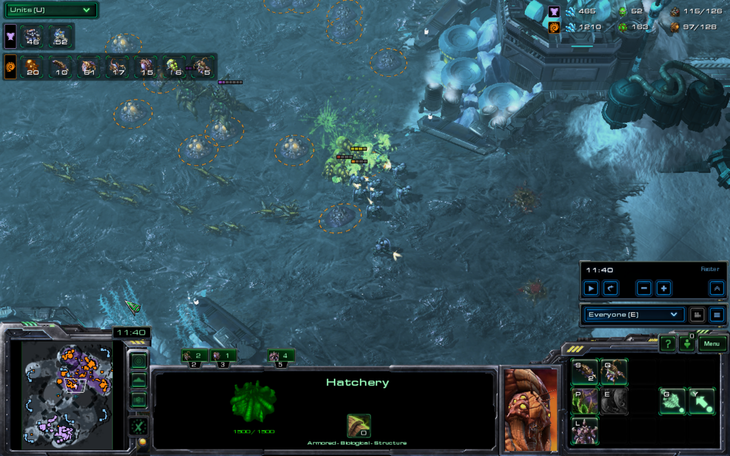 This gets exponentially harder when baneling speed finishes. Here, The_Templar tries to sneak around the other side with 6 marines, but he is caught by units that were at the same location they had been for the last 5 minutes. At this point, The_Templar's strategy and very odd map choice became shockingly clear. He intended to keep GumBa occupied on one of the main lanes while pushing the other one. 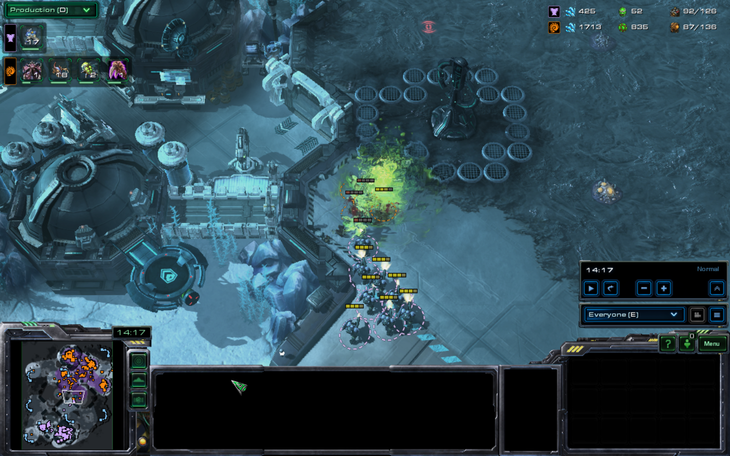 (In fact, he had a similar thing planned for every matchup except ZvZ) However, GumBa's early 4th base and creep spread allowed him to easily keep up. …And eventually The_Templar was forced back to his natural. "Where were these marine splits when I needed them?" The_Templar did not like to give up, and prepared himself for a long fight over his natural as soon as he retreated. However, he suddenly realized GumBa was on 5 bases and bowed out. 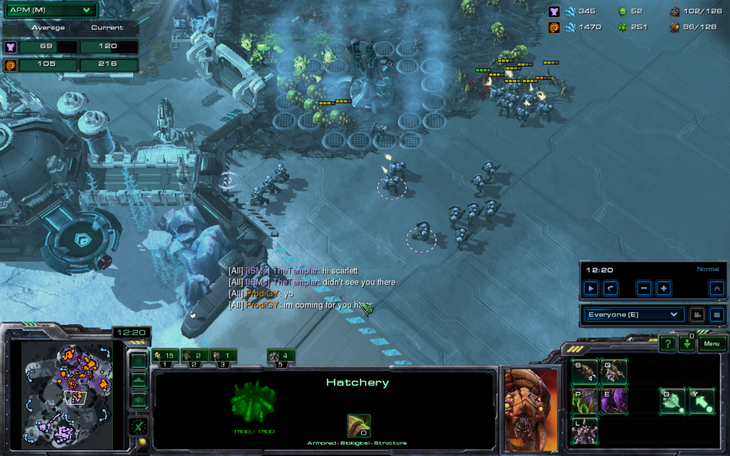 And this marked one of the few times that scanning instantly lost terran the game. While The_Templar has a wide variety of cheeses and all-ins to choose from, many of them require a higher level of play to execute, such as this one. GumBa showed extremely strong macro play in this game, suggesting that The_Templar might need to go for an earlier all-in than this one to win. I feel like moar marines might have been beneficial in this situation. Maybe you should try building some of those sometime. You are absolutely right. One of my barracks had no add-on on it. If I had another reactor, I would have made a whopping 18 marines at a time instead of 17, which might have made a difference. Map pool was "literally worse than MLG" rofl. Surprised no BC rush. 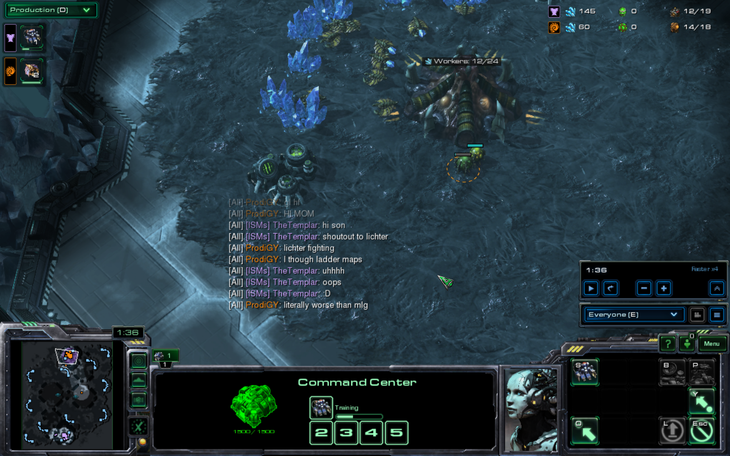 By telling him you weren't going fast battlecruisers, you basically gave him all the intel he needed! Lol this is pretty great. The_Templar you are a worthy opponent! Also I accep any and all challengers! I just decided that templar is gonna cast the matches if he doesnt play himself. Who won you vs Yorkie? Maybe I do use nukes It's a BO7. I'm disappointed that it wasn't RvR. 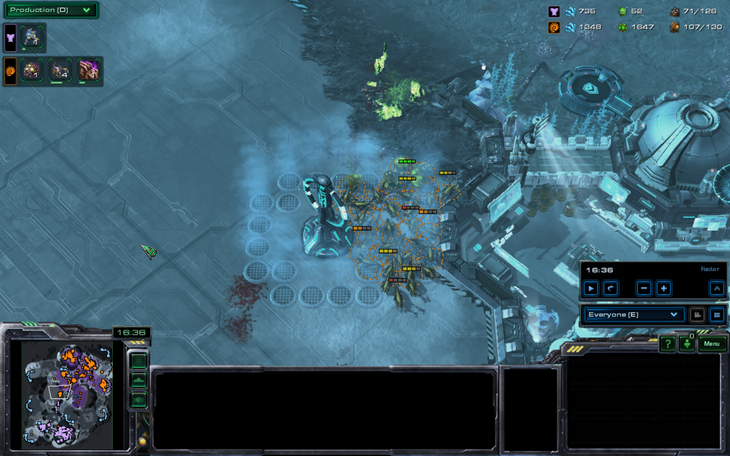 Also, I played some of the best sc2 of my life in game 3. That game was really sick.